Convicted 29.05.1916 of failing to close against soldiers. Convicted 04.02.1927 of selling out of hours. Fine £2 or 21 days detention. 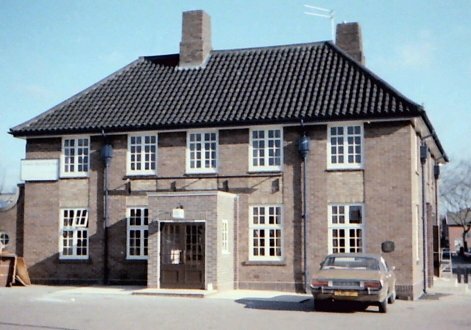 1985 - the entrance porch just added. Application for new (full) licence applied for by Jonathan Burdett, 28th August 1855. Refused, . Application for full licence made Tuesday 2nd September 1856 by Jonathan Burdett - Refused. Jonathan Burdett successfully applied for a new (full) licence 1st September 1857. Destroyed by enemy action 27/29.04.1942. Trading restarted in a wooden hut. The house was rebuilt and opened 1955. Closed 27th May 1992 and became a car audio shop. Three rooms, bar, lounge and retail.